Oct 24, 2018 in "Move It! Shake It! MousekeDance It! Street Party"
Disney has today shared a first-look at the new costumes that Mickey and Minnie will wear for their 90th anniversary celebrations. "The looks that Mickey and Minnie will be wearing to celebrate their 90th anniversary represent all of the colorful exuberance of a party and birthday party decorations, complete with confetti, balloons, pompons, streamers and more!" said Senior Costume Designer Joe Kucharski. "These playful bursts of color and texture are set against crisp white, meant to evoke the nostalgic feeling of frosting, crisp linens and tissue paper." 'Move It! Shake It! MousekeDance It! 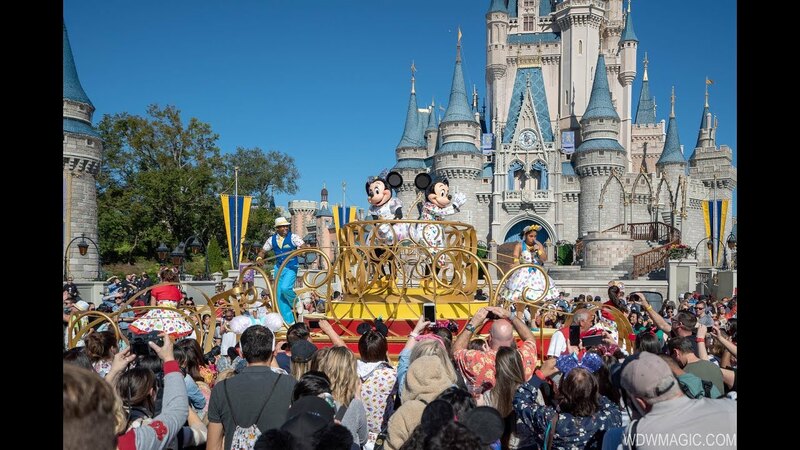 Street Party' debuts at the Magic Kingdom on January 18 2019, learn more. More from "Move It! Shake It! MousekeDance It! Street Party"